The Schaeffler Group is extending its collaboration with Chinese universities by signing a cooperation agreement with the Henan University of Science and Technology (HUST). 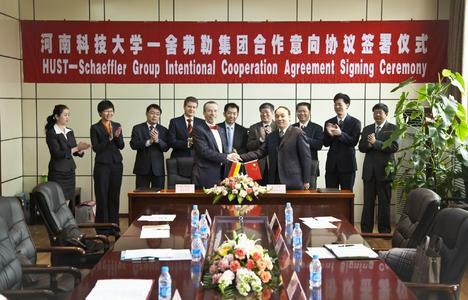 Dr. Arbogast Grunau, President Product Development Schaeffler Group Industrial, Dr. Jianhui Gou, Managing Director of Schaeffler Group Greater China, and Zhili Zhou, Vice President of the HUST, signed the agreement during a special ceremony on March 29 in Luoyang, China. Dr. Arbogast Grunau emphasized the importance of the cooperation for the Schaeffler Group in his speech: "We consider our locations in China not only as central components in our worldwide manufacturing network, but also as an important part of our global research and development networks. This also requires close contact and cooperation with the outstanding universities and educational institutions here". 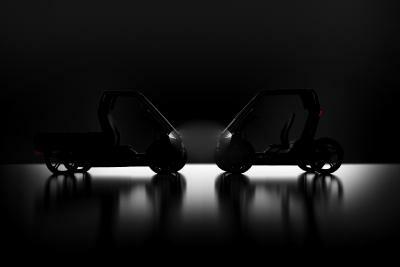 Amongst other things, the Schaeffler Group and the HUST will work on joint research programs and cooperate as part of technical standardization projects. The agreement also envisages scientific exchanges. Leading engineers from the Schaeffler Group will be active as consultants and guest lecturers at the HUST. In return, scientific employees and professors from the HUST will be given the chance to participate in the research projects of the Schaeffler Group. 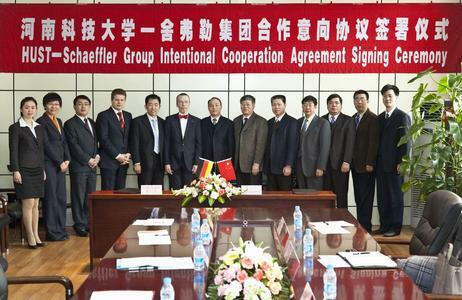 The cooperation agreement also gives the HUST and the Schaeffler Group the opportunity to participate in the programs of the Deutsche Forschungsgemeinschaft (German Research Foundation) and the National Natural Science Foundation of China. The patents and results of the scientific work will benefit both parties to the agreement. Seminars will take place from time to time in Germany and China to enable an exchange of information about joint project work. The Schaeffler Group and its 61,000 employees at more than 180 locations worldwide generates group sales of 7.3 billion euros (FY 2009) and ranks amongst the leading rolling bearing manufacturers and suppliers to the automotive industry worldwide. 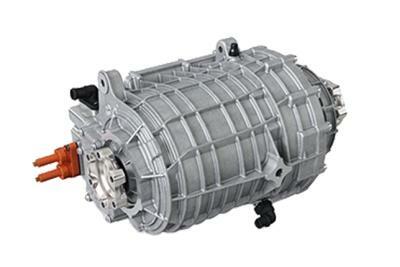 The Schaeffler Group has been active in China since 1995 and currently employs approximately 4,000 employees there. 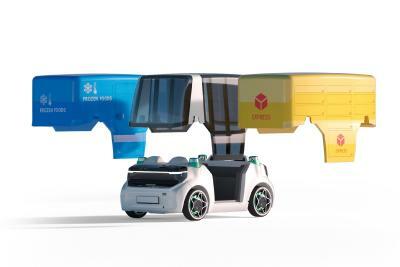 The Group has a research and development center in Anting, Shanghai, five manufacturing locations in Taicang, Suzhou and Ningxia, as well as a total of 19 sales offices nationwide.